Having just wrapped up our 64th trimester, a blanket of quiet has settled over our campus. And looking back, it proved to be a busy and productive trimester for all of us here at Eagle Rock. We kicked ER 64 off by welcoming eight new full-time Eagle Rock staff members, 10 new Eagle Rock Public Allies fellows, and one wilderness intern — Jack Bresnahan — to our mountainside community. Add it up and that’s just about 40 percent of our staff. Considering all the newness, we’ve done pretty well. As expected, our students continued to deepen their understanding of our five expectations — making healthy life choices, communicating effectively, practicing leadership for justice, being an engaged global citizen and developing an expanding knowledge base. Much of this was absorbed through engaging classroom discussion. And, of course we’re proud to have sent our three newest Eagle Rock School graduates — Gigi Hagopian, Isaac Holmes and Cat Leger — out into the world. In addition to classroom activities, we’ve been working hard to improve the quality of student life elsewhere at Eagle Rock, and this trimester we had a lot going on, thanks to a large extent to The Magnificent 7 — an elite group of veteran students who help out with evening duty. This trimester, the M7 put on an exciting house versus house Olympics, and when the dust settled, Aspen and Lodgepole were tied for first place. To break the tie, student Ziyad Johnstone, representing Aspen, and Isiah Gonzales, representing Lodgepole, played a nail-biting game of egg roulette for the tiebreaker. If it’s an activity that doesn’t take place underneath a ceiling, Jesse Beightol probably has something to do with its success. Jesse is the outdoor education instructional specialist here, and his classroom consists of the hundreds of acres of forests, streams and meadows surrounding our mountainside campus. Does that mean he wears a lot of sunscreen? You’ll have to ask him that question yourself. This backcountry fanatic oversees our 24-day wilderness orientation course, Explore Week trips and adventure activities that take place outside of the classroom. Jesse also organizes the Leadership for Justice Curriculum, teaching classes like Outdoor Leadership and Science of Strength. And he co-chairs our risk management committee, teaches CrossFit, attends Aikido, supports Spruce House and serves on Eagle Rock’s discipline committee. 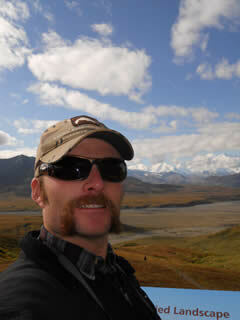 Jesse: Most immediately I was attending graduate school at the University of New Hampshire, earning a Master of Science degree in outdoor education. Before that I spent about eight years working as a wilderness instructor for the National Outdoor Leadership School, Wilderness Inquiry, Kent Mountain Adventure Center, Wintergreen Dogsled Lodge and Eagle Rock. Eagle Rock: What first attracted you to Eagle Rock? 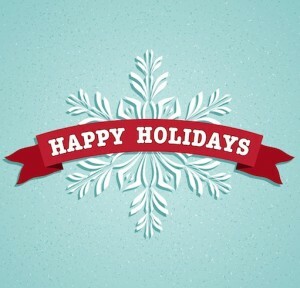 Happy Holidays from the staff, students and instructors here at the Eagle Rock School and Professional Development Center. Whatever it is that you’re up to this holiday season, we hope you’re safe and surrounded by people and things you love and adore. As you might have imagined, we’ve sent our students and everyone else home for the trimester/holiday break. Our offices are officially closed through the 4th of January — staff will begin to arrive back on campus on Monday, January 5. If you do try to reach one of us by phone, it’s likely your call won’t be returned until the first week of January. For that reason, it might be better to connect with us by email (some staff and instructors check email during breaks). Since this trimester’s break coincides with major gift giving and gift-receiving holidays, it feels timely to note that the best gifts cannot be found packaged up in a box and sealed with ribbon or a bow. The laughter and the tears we experience as educators, along with all of the insightful and rewarding one-on-one and group conversations — especially the ones with students — that we’re blessed to be a part of… those are some of the best and enduring gifts we give and receive. Here’s to more of that occurring for you and us well into 2015 and beyond. Editor’s Note: In case you don’t already know him, meet Niko Viglione, Eagle Rock’s Human Performance Center Public Allies Fellow who hails from Purdy N.Y. Niko taught physical education at Rippowam Cisqua School in Bedford, N.Y., where he worked as a track coach as well as with project-based adventure after-school programs. 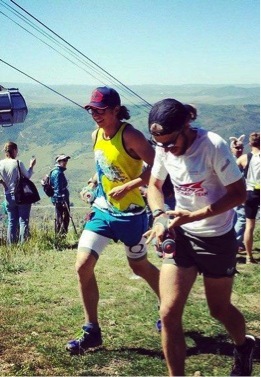 While there are many 100-mile courses out there, Run Rabbit Run offers the opportunity to race against the best ultra-marathoners (runners who race more than 26.2 miles) in the country and to do so in an absolutely stunning setting. 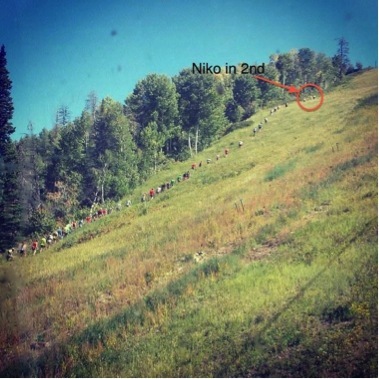 My six months of training for the 2014 event in Steamboat Springs, Colo., included many weekends of running 10 hours over the course of two days. I raced the 50-kilometer distance four times, the 50-mile distance twice, a 43-mile race, and a vertical kilometer race — which is the shortest race possible, gaining 3,200 feet in a kilometer. In all, I ran a total of 1,600 miles in over 200 hours. The course itself totaled 107 miles, with more than 23,000 feet of climbing (and the same for descending), while spending most of the time at an average elevation of over 9,000 feet. My strategy was to not hold back like many first timers do. My best thinking was to run with a do or die mentality. I didn’t want to simply finish, but instead, to race, to run with the best in the country for as long as I could, and to see if maybe, just maybe, I could be the last one standing when the dust cleared. The first 50 miles went according to plan, running well and moving up steadily through the field, on pace for a sub-20 hour finish with the legs feeling strong and spirits mostly high. If you know anything about the goings-on at Eagle Rock, you’re probably aware that our Professional Development Center (PDC) works hand-in-hand with educators from across the nation. Educators and others come to us for insights on how to successfully re-engage, retain and graduate students. They come to us because we’re experienced and really good at what we do. There’s a bit of a boast in that statement, but it’s the truth. And what we don’t do is tout ourselves as the only solution available. In fact, solutions aren’t what we offer. What our PDC offers is a process that enables schools to re-engage with their students within their own particular campus environment based on what resources are available to them and how the educators and students themselves define success in such endeavors. As a result of our efforts, we continue to attract schools from all corners of the country. Take educators in Iowa, for example. Sometime early next year, we’ll be conducting observations of competency-based systems for the Iowa State Department of Education. We’ll be visiting a pair of school districts in Collins-Maxwell and Van Meter — both situated near Des Moines. Also, you might recall back in September we told you about how we were helping six schools in New Mexico develop metrics for success. Come next month, we’ll also be conducting observations at those six schools. They include ACE Leadership, Health Leadership, Amy Biehl High School, South Valley Academy, Native American Community Academy and American Sign Language Academy. Our plan is to follow up our observations by meeting up with leaders of these schools — along with Tony Monfiletto, executive director of the New Mexico Center for School Leadership (NMCSL) — and the good folks at the McCune Charitable Foundation. 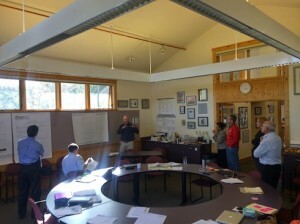 Also in New Mexico, the NMCSL will soon be launching the chartering process for a new Entrepreneurship-focused school. As we have with their previous three charters (ACE, Health, Tech), we will facilitate the initial curriculum vision for the school, which involves engaging industry partners. About four years ago we assisted in the launch of the Mid-Atlantic Critical Friends Group (CFG) for Big Picture Learning. In 2015, those CFG gatherings will continue in Philadelphia, Pa. (Wed, Jan 14 at El Centro), Newark, N.J. (Fri Mar 13 at Big Picture Academy), and in March and April (dates TBD) at Fannie Lou Hamer High School in Bronx, N.Y. Speaking of Fannie Lou Hamer, we have two visits in the pipeline to continue supporting the Bronx school. Previously, we’ve helped them launch their peer observation system, which is built around Fred Newmann’s Authentic Intellectual Work framework. And we plan to continue our support of transforming public education in the state of Washington to better meet the learning needs of all students — particularly those least effectively served by existing programs — by supporting the work of the Puget Sound Consortium for School Innovation (a Big Picture Learning initiative). Below is a listing of our Professional Development Center’s activities scheduled from now through the end of March. If you would like to know more about our work or how your school or community program can work with our Professional Development Center, please contact our associate director of professional development, Dan Condon, by emailing DCondon at EagleRockSchool dot org. We’ll be in Winooski, Vt., where PDC Associate Sarah Bertucci continues consulting with the Winooski School District as they move toward proficiency-based graduation systems.